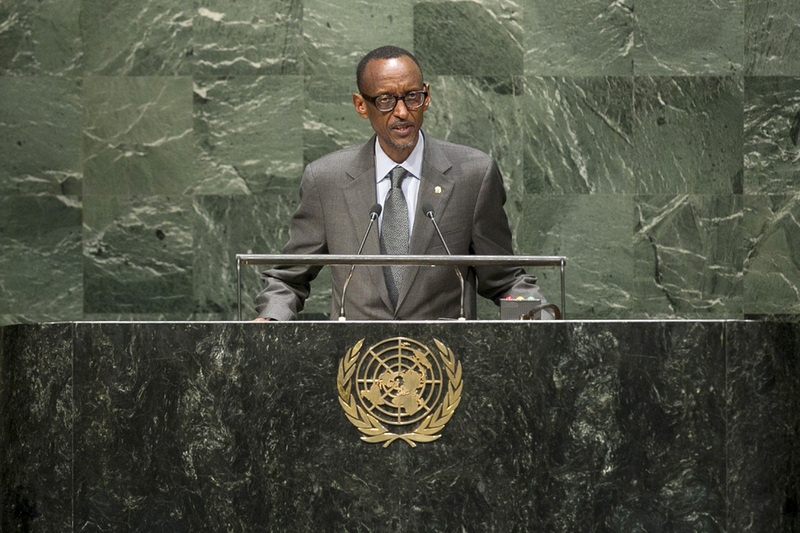 PAUL KAGAME, President of Rwanda, said the success of the Millennium Development Goals framework illustrated the ongoing strength of international cooperation. If the public and private sectors worked together on climate change, the world could look forward to a future where countries did not have to choose between clean energy and economic growth. Efforts to address crises in Africa and the Middle East had not been effective, he said, adding that two important goods had been consistently undervalued in that regard — physical security and national identity — which were vital to sustainable nation-building and peace. Without them, sustainable gains in good governance suffered. It took time to create change; there were no short-cuts. The voices and concerns of all citizens must be included in the process of consensus-building, as structures that did not come from within would not take root. Member States must heed those realities. To manage diversity in societies, politics must be international in scope, he said, adding that negative experiences of nationalism had created doubt about patriotism and national identity. Today, it was evident that national identities were too weak. Regionalism and religions had become the dominant forces, tearing nations apart. In Rwanda, the focus had been on building Government institutions that were held to account and on renewing the dignity of the nation. As a result, Rwandans were the most optimistic people in the world, with faith in their Government and institutions. It was up to the international community to not just manage conflicts, but to help prevent and end them.